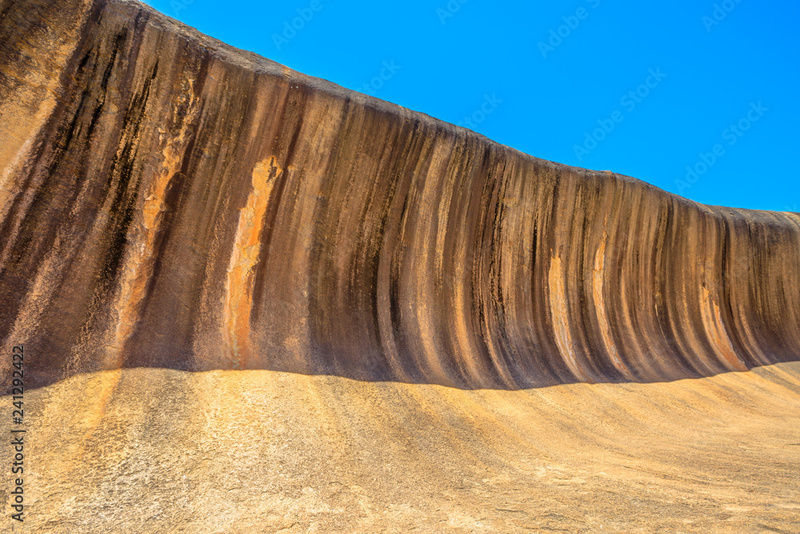 > Staande foto>Categorieën>Reizen>Oceanië>Scenic landscape of Wave Rock a rock formation that is shaped like a tall ocean wave, Hyden, Western Australia. Wave Rock in Hyden Wildlife Park is a popular attraction. Blue sky with copy space.